This site was created to serve one purpose and one purpose only: To share the truth of what happened to the Black Dahlia and the man that murdered her. You will see no advertisements and will not be asked to give anything but your consideration of the evidence presented. 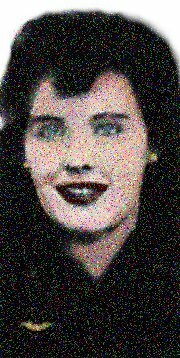 The author of this site and person responsible for solving the Black Dahlia Murder Riddle, John F. Kohne, Jr., spent 30 years working for the US Government as a mathematician where he garnered considerable experience and expertise in decryption. Although justice can never be served on the man who committed this heinous crime, it was the author's hope that the information revealed in this site will allow the Black Dahlia to finally rest in peace. On July 7, 2016, Mr. Kohne passed away. Born in 1933 in Hollywood, he lived his entire life in San Diego. With the Black Dahlia in the news for much of his life, he became interested in the mystery and dedicated countless hours to decrypting clues in the hopes of bringing some peace to the family of Elizabeth Short.